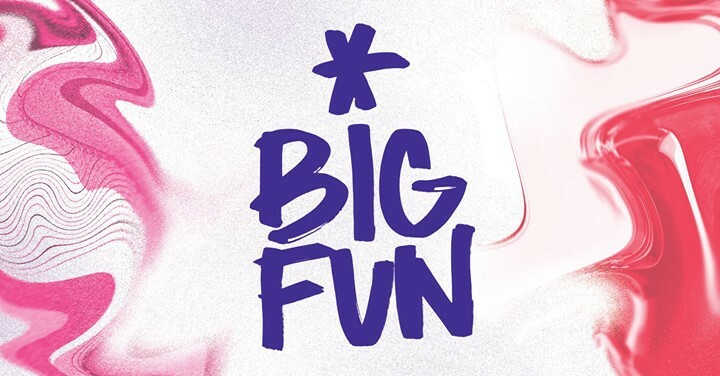 Big Fun 2018 runs January 24th through January 28th. Big Fun, Winnipeg’s pre­m­i­nent inde­pen­dent music fes­ti­val is back for it’s 7th year, tak­ing place Jan­u­ary 24th through the 28th. This year’s Big Fun fea­tures more than 50 amaz­ing artists from Win­nipeg and beyond — amaz­ing vis­i­tors Braids, Ice Cream, Ura­ni­um Club, Big|Brave, Wares, Foonyap and more will share stages across the city along­side local favorites Super Duty Tough Work, Ani­mal Teeth, Black Cloud, Red Moon Road, Ghost Twin plus new upstarts Spooky Eyes, the Sorels and Pout . This year’s fes­ti­val will once again take place in 7 dif­fer­ent venues through­out Winnipeg’s down­town. The fes­ti­val touch­es on many gen­res of music, from rock to hip-hop, folk to elec­tron­ic and each show has been curat­ed and placed in a spe­cif­ic venue in order to give the audi­ence and artists a unique expe­ri­ence to that of the usu­al Man­i­to­ba music scene. Fes­ti­val pass­es are avail­able now at Into the Music Osbourne and online at tick​et​fly​.com, and will get you into 13 shows, pan­els and events for $75 (only $67.50 with your Friends With Ben­e­fits Card!! ), or you can pick and choose and pay at the door. Win­nipeg has two rep­u­ta­tions across the coun­try, one for hav­ing a great music scene, and the oth­er for hav­ing a bru­tal win­ter. Big Fun com­bines these two ele­ments to cre­ate a music fes­ti­val that our prairie town can be proud of! Get primed for Big Fun and check out this year’s fes­ti­val sam­pler here! The Big Fun Fes­ti­val is an annu­al, five day music fes­ti­val show­cas­ing mul­ti­ple gen­res of music in sev­er­al venues in down­town Win­nipeg every Jan­u­ary. Man­i­to­ba main­tains a rep­u­ta­tion for hav­ing a rich artis­tic com­mu­ni­ty as well as a bit­ter win­ter. The Big Fun Fes­ti­val brings these two ele­ments of our Province togeth­er to cre­ate an annu­al fes­ti­val our city can be proud of.